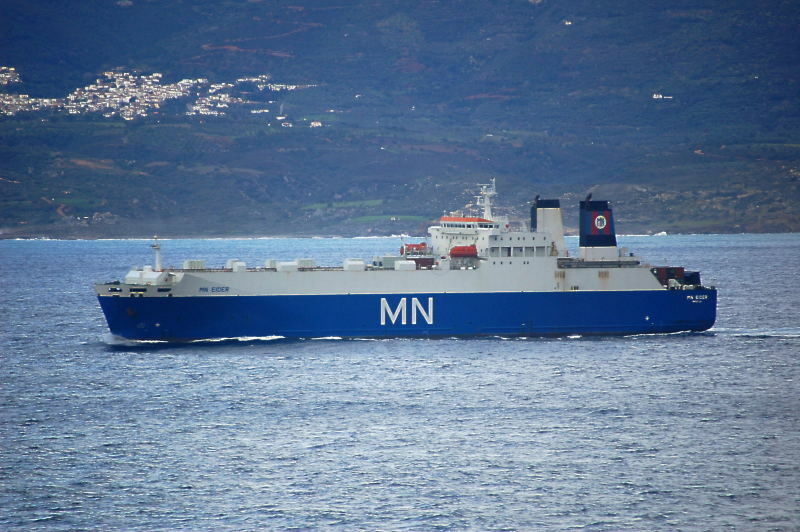 1989 built,20865gt RoRo MN EIDER reg Marseilles in the Aegean on Feb 19th,2011. She was built by Hyundai at Ulsan. This photo has been shown 1,116 times since it was added to the site.